If your kids aren’t involved yet, why not check out if there is a Coderdojo group near you, or set one up! Check out http://coderdojo.com or better get involved as a mentor! If you are interested to learn to code, I am including a few resources(some courses are offered for free) that enable you to learn the basics of just about any coding language and also more advanced courses( I also saw a yoga course, so it’s not all coding). 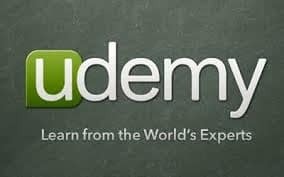 If you subscribe to Udemy you’ll regularly receive emails with discount codes, so it’s all good. The first 2 companies are US based, the third company is Irish based, all 3 offer an extensive range of video courses on a variety of topics, go check it out! I found another Blog called http://www.openculture.com that lists over 750 free university courses. Happy coding, or should I say, happy learning…..